Allan Sharrock says he has nobody but himself to blame after missing the first acceptance payment for next month’s A$7 million Gr.1 Melbourne Cup (3200m), rendering Gr.1 Auckland Cup (3200m) winner Ladies First ineligible to start. The New Plymouth trainer was alerted to his mistake when talking to co-owner Humphrey O’Leary, who noted that there were 85 horses remaining in contention after Tuesday’s first acceptances. “It was plain and simply an oversight and I have to own that,” Sharrock said, adding that he had feared he could lose Ladies First because of his mistake. In recent years, several leading New Zealand stables have missed acceptance payments for feature races in Australia and been forced to make costly late entry payments but in Sharrock’s case, the late entries for the Melbourne Cup closed on September 6, so he has no way back. 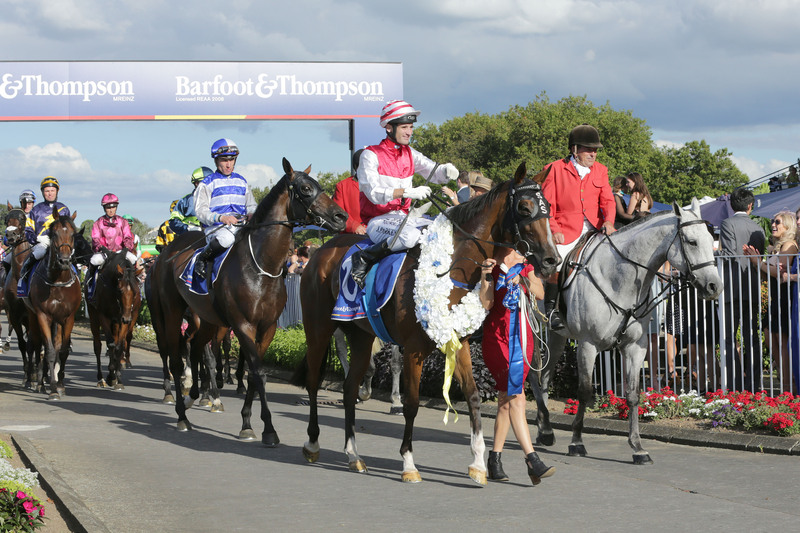 Ladies First is still in line to campaign in Melbourne, provided she races well in Saturday’s South Taranaki Club Egmont Cup (2100m) at Hawera, but her programme has changed. “She’s going to be awfully hard to beat on Saturday. It looks a suitable race to have her ready for Melbourne,” Sharrock said. Sharrock’s apprentice Wiremu Pinn takes the ride on Ladies First and will also have his first ride in a stakes race when he partners Art Deco in the Gr.3 Rich Hill Stud Taranaki Breeders’ Stakes (1400m). “It was around the same time Michael Walker got his chance,” Sharrock said of the promising apprentice. “Personally, I think he’s shown enough to warrant being there. He doesn’t get flustered and he’s riding extremely well. Even with a poor book of rides the other day, he’s putting them in the right spot and giving them every chance. 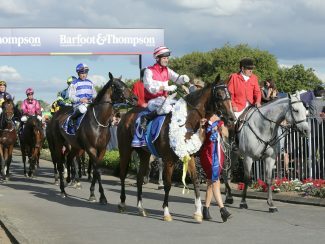 Sharrock opted not to start London Express in the Taranaki Breeders’ Stakes, preferring to wait for the Gr.2 James and Annie Sarten Memorial Stakes (1400m) at Te Rapa on October 22 against her own age.